This postcard from the collection of Bob Graham shows Middleport in the January 1907 flood, looking at Mill Street and North Second Avenue. Also visible are (left to right) Rathburn’s Department Stores, C. Davis & Co. Drugs, and Lewis & Coe Clothing. 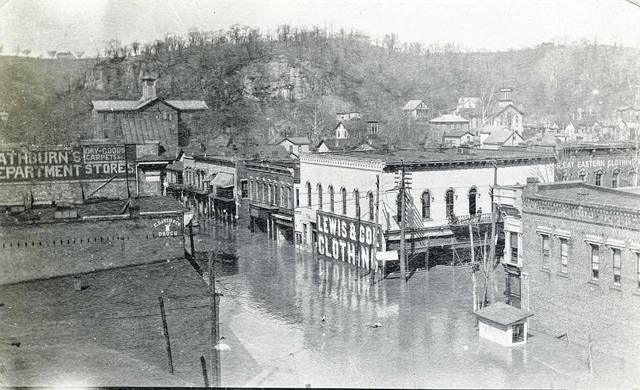 The text on the back of the postcard, which was mailed to California, reads: Middleport during recent high water. Photos and postcards, such as this one, from Graham’s collection can be seen at the Meigs Museum or on the Meigs County Library website.